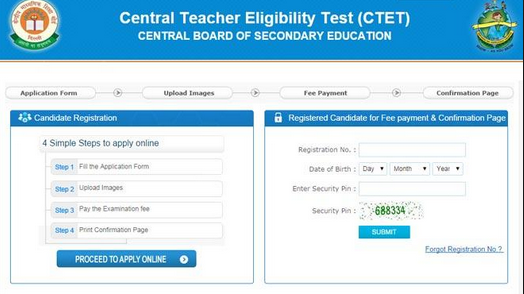 OTET 2019 - All about Orissa Teacher Eligibility Test (OTET) ✓ Notification ✓ Application Form ✓ Syllabus ✓ Admit Card ✓ Eligibility ✓ Question Papers ✓ Sample Papers ✓ Answer Key ✓ Exam Date ✓ Exam Pattern ✓ Cut-off Marks ✓ Preparation Tips for the post Primary Teacher (from 1st class to 5th class) and Upper Primary Teacher (from 6th Class to 8th Class) examination to be held in 2019. Candidates interested in appearing for the exam should apply only through online process from official website of Orissa TET i.e. www.bseodisha.nic.in. The Government has Decided to Conduct The Odisha Teachers Eligibility Test – Orissa TET 2019 Exam Once Again in the Current year to help more Number of Candidates to Apply for OTET 2019 The State Government has announced the TET Orissa 2019 Latest Schedule now. Higher Secondary (+2 or its equivalent) with at least 50% marks and 2 years Diploma in Elementary Education/ 2 years Diploma in Education (Special Education) approved by RCI (Rehabilitation Council of India)/ Graduation with 2 years Diploma in Elementary Education/2 years Diploma in Special Education approved by RCI. Graduation with at least 50% marks with 1 year Bachelor’s Degree in Education (B.Ed. )/1 year B.Ed. (Special Education) approved by RCI/Higher Secondary (+2 or equivalent) with at least 50% marks and 4 years B.A. Ed./ B.Sc. Ed. ( integrated course). Provided that relaxation of 5% in qualifying marks in +2 or at the graduation level, as the case may be; shall be allowed to the candidates belonging to SC/ST/OBC/ SEBC category. Provided further that candidates who have secured minimum marks in +2 or graduation level, as the case may be; as prescribed at the time of admissio n into Teacher Education Course; shall also be eligible to appear at OTET 2019. Candidates who are pursuing (Final Year) of any of the teacher education courses (recognized by NCTE or by the RCI as the case may be) specified above, in both the categories; can also appear at OTET 2019. Candidates are required to apply online application form from the official website . After successfully submission of application form, candidates need to take print out of duly filled application form for future references. Candidates are required to pay the application fee of Rs. 350/-(Rupees Three Hundred Fifty) only through SBI Challan generated from the web site. On submission of forms and fees candidate will receive an e-mail and SMS regarding his/ her registration number and password. The system will generate challan and candidates have to print the Challan Copy. Candidates by using Application number and Password MUST print the Application form for future reference. ✓ A candidate who scores 60% or more in the TET examination will be considered as TET pass. A candidate who scores 60% or more in the TET examination will be considered as TET pass. ✓ Candidates belonging to SC, ST, SEBC/OBC, Physically Handicapped securing scores 50% may be considered as TET pass. ✓ The TET score will be given weightage in the recruitment process. ✓ Comprehension of two unseen passages (one from prose / drama and other from poem) with test items on comprehension, vocabulary and grammar. ✓ Temperature zones of earth. Candidates will be able to download their Admit Card from two week of examination. Candidates are requested to visit the same website to download their Admit Card For Orissa Teacher Eligibility Test (OTET) Exam 2019. 1:- Log on to the official website www.bseodisha.nic.in. 2:- Follow the link of “Examination” and click on 'Admit Card'. 3:- Enter Registration Number in the space provided. 4:- Hall Ticket/Admit Card will be show on your screen. 5:- Print-copy or Download in your computer. STEP#01: Log on to official website of Orissa TET. to apply online for OTET 2019. STEP#04: Fill and edit Odisha TET 2019 online application form. STEP#05: Upload photograph and signature. STEP#06: Review and verify your application. STEP#11: Submit it to District Education Officer. Sir , I lives in west Bengal and also graduate from brngal.Am I elligibe for OTET.